Each Sim is Named a Hair Colour, and each row has a shutter colour. This may help you with navigation and knowing where you left off when visiting the event, or sharing information with others. All logo boards at the front of each store is named with the Hair Store name, if you have hover-tips active in your viewer settings, this will allow you to mouse over boards to see which is which if textures are slower to rez. Each sim is divided in half and visibility removed, this means that you will be able to see the sim but not any other avatar on the opposite side. This helps with lag and how much you have to render, so do not panic if you land and cannot find your friends, they are just on the other side of that division. This is also the case at the sim crossings, this helps more so when cam shopping across sims. 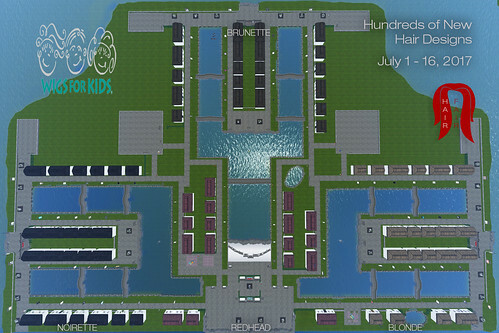 We have two addition sims for cam shopping, shown in the top left and right of the map. Reblogged this on Inventory Episode. The Hair Fair is only hours away!!! The wait is finally over…Hair fair is here……woooots!!! Reblogged this on Haute Selection. 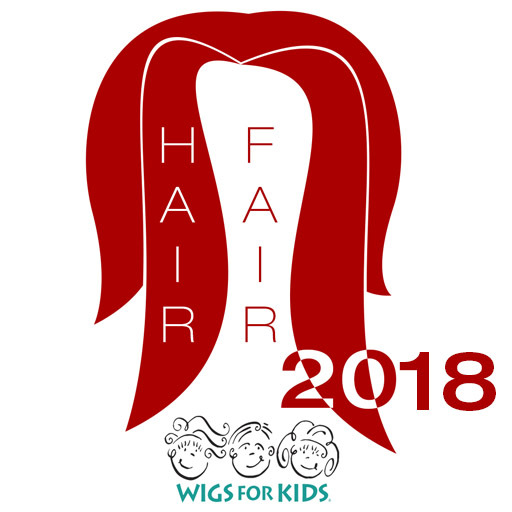 IT’S HERE…HAIR FAIR!! This post is information on the Sims, Slurls and Hairstyles! Reblogged this on Virtually Dressed. Awesome to see more men’s hair, keep em coming PLEASE, there still aren’t enough decent men’s hairs out there, designers!! … and nice to finally see more hair available for people of color. I’m glad to see that you don’t have to be white and female to be able to find something at the hair fair. Reblogged this on Fashion status . Pingback: There’s Nothing Like a Day at the Beach! | What a Beautiful Mess! Reblogged this on Livvys Boudoir. Hair Fair 2017 is here. Read on to get the details and preview all the newest wigs. Remember, it’s shopping for a great cause! Reblogged this on 장성영 | Jang Sungyoung. Pingback: Something in the shadows – Style It Up! Reblogged this on Nina DiLeonardi. Ridiculous amount of lag. Takes to long to shop and not fun. Same ting every year. Lagging bad with only 38. Thank you so much for putting all these hair styles here so that I could quickly view them all without wasting time going booth-to-booth at the Hair Faire. Hi, you are welcome, I do hope you give a lot of them a second look though, I ended up finding styles that looked so different on than they did in the image, in a positive way, much to my delight 🙂 enjoy the fair.